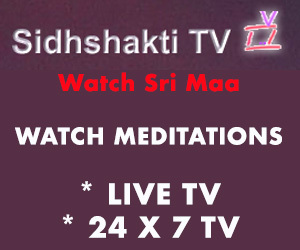 SIDHSHAKTI JOURNEY is a process formulated by Sri Maa which defines the steps in which a person must do Sidhshakti Meditations to fulfill his goal of doing meditation and progress on his social and spiritual life, fast and smoothly. There are two kinds of journey: SIDHSHAKTI SOCIAL JOURNEY & SIDHSHAKTI INNER JOURNEY. One can start with Sidhshakti Social Journey – fulfill all his social and materialistic desires, improve relationships, increase wealth, attain peace, live an energetic life, see his past life, travel astrally, have the holy sight of God and then move on Sidhshakti Inner Journey – fulfill all his spiritual desires; make life meaningful and ultimately reach “Chaitanya Avastha”. One can even start with Sidhshakti Inner Journey directly, if one wishes to move ahead on spirituality fast. 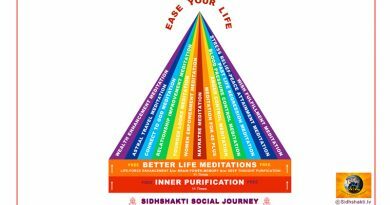 People who want to progress on the path of spirituality, know the hidden truth of their inner-self and want to progress on every aspect of life in a balanced way, must follow this journey pyramid. This journey leads one to “Chaitanya Avastha”. Chaitanya Avastha means the ultimate consciousness. It is the highest stage in meditation in which a person experiences oneness with the universe; realizes the existence of soul, spirit, pran etc while being conscious; gain Siddhiyan; open third eye; know your past, present & future; reach a stage where you rise above happiness and sadness (Samavastha). When you connect with the universal energies directly, then you receive true ultimate divine knowledge directly like Tulsidas ji, Kalidas ji, Valmiki ji etc did. Then you do not need to take direct guidance for any other person. A person cannot achieve anything more valuable and precious in one’s lifetime than this. One must start from the base and move upwards. 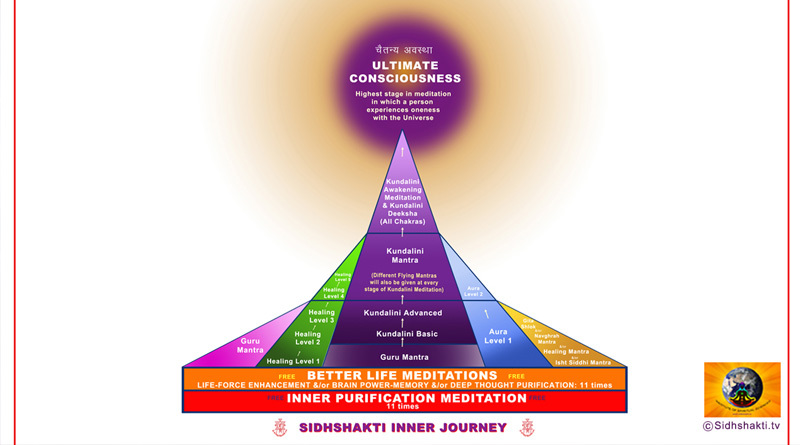 STEP 1: According to this journey, one must do the Inner-Purification Meditation (FREE) first for atleast 11 times. One can complete the 11 times of this meditation in 11 days or less than that. One can then continue to do it later with other meditations, if they wish to. This meditation has been made compulsory before proceeding to other meditation so that the person gets sure and maximum results of doing the mediation, as this meditation removes the blockage in the aura, body, chakra and helps the universal energies to penetrate easily. If these blockages will not be removed one will not be able to get complete benefits of doing Sidhshakti Meditations. Step 2: After doing Inner-Purification Meditation, one can then do “Better Life Meditations” which contains three meditations – Brain Power Memory Meditation (FREE), Life-Force Enhancement Meditation (FREE) and Deep Thought Purification Meditation (FREE). Before moving upwards, one must do any of these three meditations for at least 11 times and submit minimum two experiences, in order to get correct guidance. If you have any urgency of moving upwards then you can do any of these three meditations along with the meditation of level 3. Step 3: There are five paths, which arise on level 3 of this spiritual journey. You can choose your own path and can walk on multiple paths also. 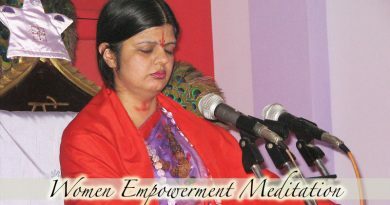 Guru Mantra given by Sri Maa is extremely powerful. One can achieve many supreme things with Guru Mantra under Sri Maa’s guidance. Guru Mantra is not done for just taking your Guru’s name. It is a kind of Shakti Mantra, which provides guidance on every path of life. One, who has taken Guru Mantra from anywhere else, can also take Guru Mantra from Sri Maa if they desire to. Sidhshakti Healing gives us an opportunity to heal and cure our diseases as well as cure others too. There are many more social and spiritual benefits of Sidhshakti Healing, which you can read on our website. A person who wants to move ahead on the path of Sidhshakti Healing can start by taking the initiation of every level of Sidhshakti Healing one by one. One must start with Level 1 and gradually move upto level 5, after submitting your experiences at every level. Aura Purification & Enhancement Meditation gives us an opportunity to see, read, enhance and heal your own aura as well as others. A person who wants to move ahead on the path of Aura can first do Aura Level 1. After submitting your experiences of level 1, one further do level 2 of Aura Purification & Enhancement Meditation. Special mantras given by Sri Maa are extremely powerful and have different purposes. It can solve life’s many problems and even help us move ahead on the path of spirituality. 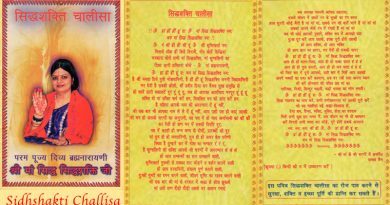 One can take all or any of these mantras – Iisht Siddhi Mantra, Healing Mantra, Navgrah Mantra & Gita Shlok Gyan as per your wish. To know more about their benefits, you can search our website. A person who ultimately wants to reach the “Chaitanya Avastha”, can do so only after moving ahead on the path of Kundlini Awakening Meditation. To do so one must start by taking Guru Mantra first. Then do Kundlini Awakening Basic Meditation and then do Kundlini Awakening Advanced Meditation. After this Kundlini Mantra must be taken and after that Special Meditations & Kundlini Deeksha Mantra of all Seven Chakras must be done gradually. Different Flying Mantras will also be given during the course of Kundlini at every step. Helps to provide you guidance from Institute of Spiritual Sciences.